Hocoma’s Andago is breaking new ground in gait therapy. 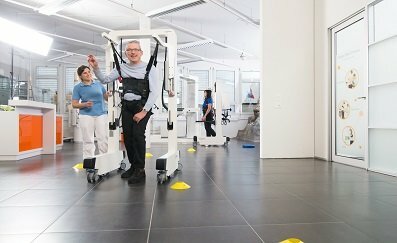 The mobile system with body weight support senses patients’ movement intentions and actively follows. Rather than relying on multiple therapists to support and secure them, patients can walk independently and freely. The improved therapist-to-patient ratio combats rising health care costs as well as shortages of qualified personnel in rehabilitation. Read more.